"Being thousands of miles away from England, we were concerned how to negotiate the letting of our property, and how to make sure it was being carefully looked after. Karsons Lettings, under the dynamic management of Bhavesh, has been superb. Every matter has been taken care of with expert efficiency and we have the very real sense that the property is being looked after much better than we could have managed if we were on site. 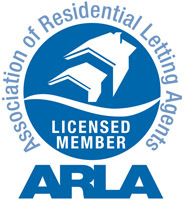 I completely and thoroughly recommend Karsons Lettings as a top quality service." "Having used numerous property management companies over the last 25 years, many have come and gone, but I sincerely feel that at last we have a company with an ethos with whom we can forge a firm long term association. Service to us is paramount, and that's what we get, you can't ask for more, but if you did, no doubt you would get it"
"Friendly, helpful staff, easy transaction reliable and friendly service"
"Karsons were speedy and efficient in finding me a tenant. I found their service to be very professional. I was impressed with the fact they weren't a 9 to 5 operation and were happy to work late at night to suit the landlord & tenants requirements." "...Since the very first conversation, Bhavesh has given me sound advice, and he's been consistently professional and proactive in his approach, taking all the worry and stress out of the process - for the tenants as well as me. He is reliable, competent, and extremely personable. Thank you so much, Bhavesh. If I had more houses to rent out, I'd ask you to look after all of them without any hesitation!"